So here it is…AND I have a crew to feed it to today! This is corn that has been chopped and will be used this winter to feed our cattle. We have a crew of 7 here today to help us get our feed ready! And I’ll be sure to explain it more later. 1) Add pasta sauce and browned hamburger together in a skillet. 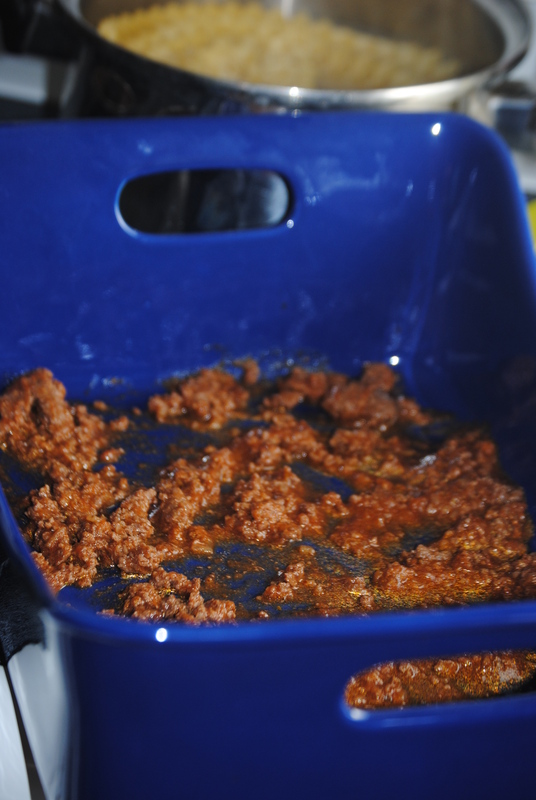 I make sure it’s all warmed together before layering my lasagna. This is how I start my lasagna, with a layer of sauce. 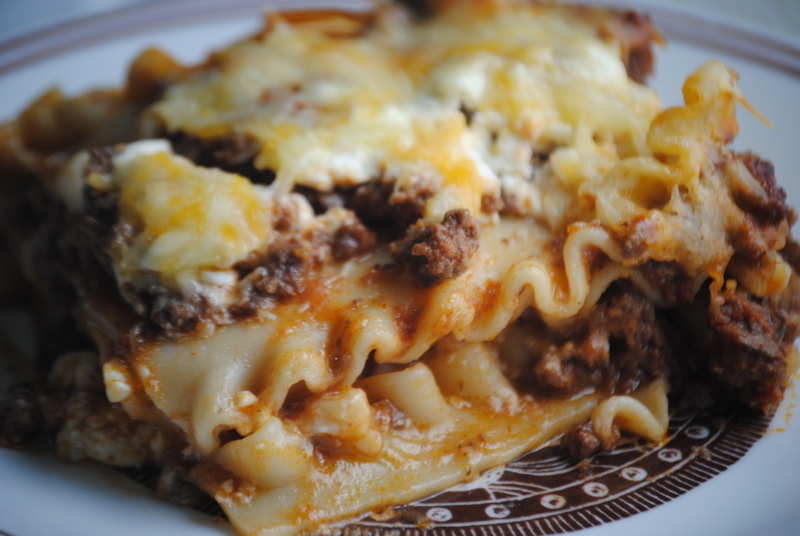 3) Bake at 350* for about 30 minutes, or until you notice the sauce in the lasagna starts boiling. 4) Enjoy! And perhaps consider hitting the gym for a little extra time tonight. The beauty of this recipe? If possible, it tastes even better as leftovers. Unfortunately, it’s been a year or two since my boys left us any leftovers! * I am participating in Indiana’s Family of Farmers Table Talk Series and received a gift in exchange for my participation. 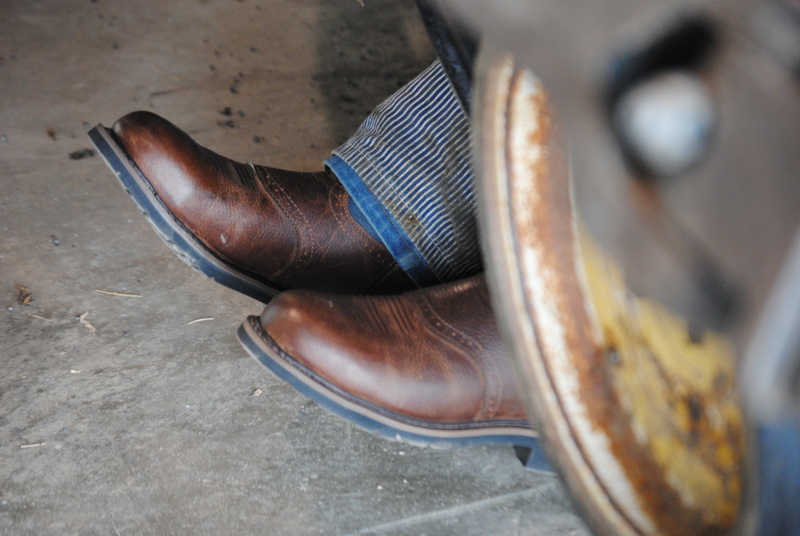 Not too long ago, the wonderful ladies over at The Real Farmwives of America asked if anyone would be willing to do a quick review on a pair of boots for “the man in our lives.” The funny thing is, that I had just talked to Boss Man about getting a different pair for him to work in…and so we jumped at the chance! And boy, are they great! 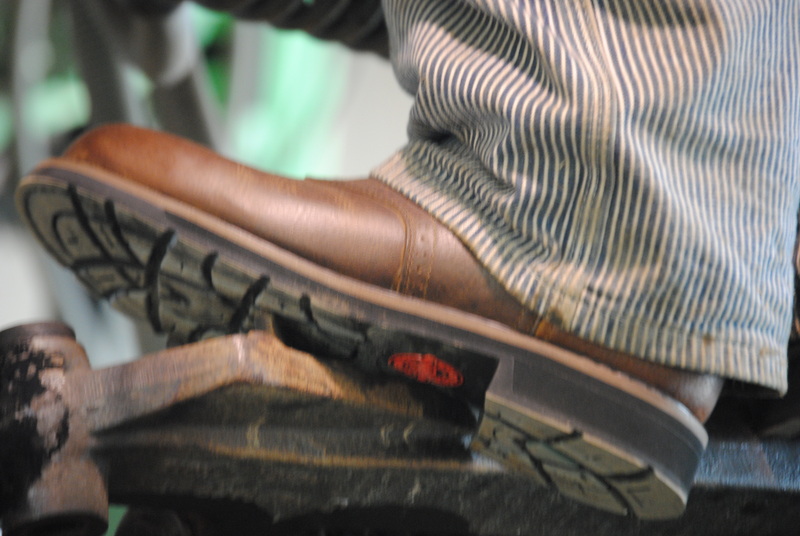 Boss Man's new steel-toed Justin work boots...the verdict? A big win! These happen to be steel-toed, yet they look so sharp! 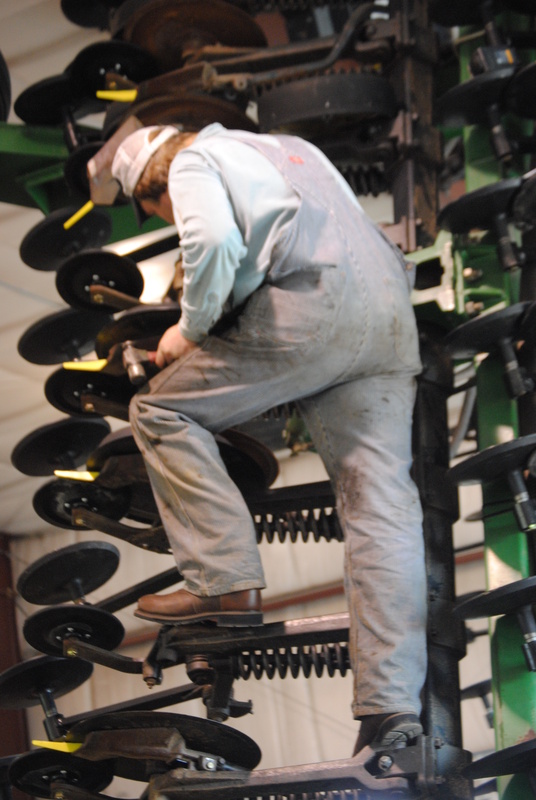 Boss Man was working on the air seeder when his boots arrived...they went to work right away! 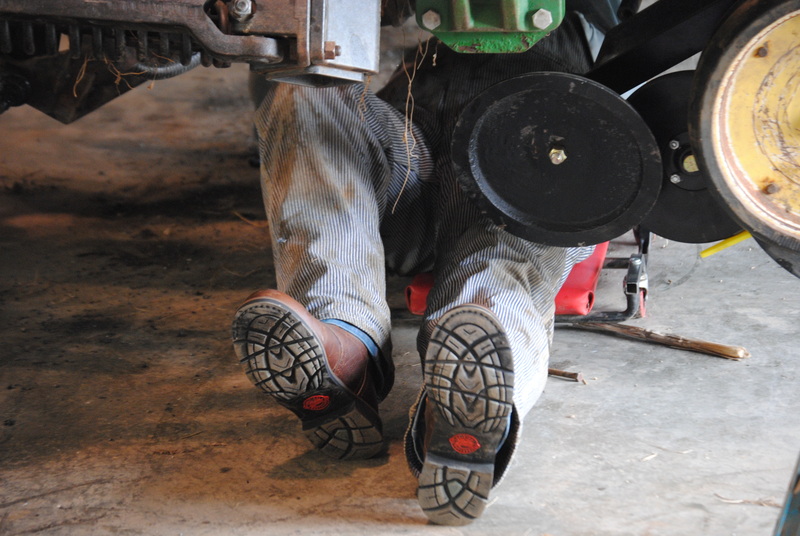 Flexible and comfortable...two musts for a farm work boot! Great grip, traction and still comfortable to wear. He loved how well they moved...even in some uncomfortable places. 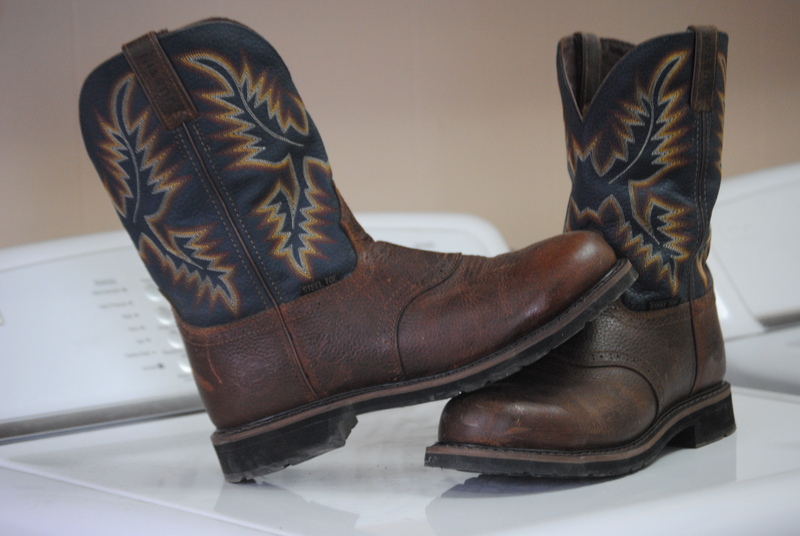 No problems here, these boots were a home run! And the best part of all? You can have a chance to win a pair! 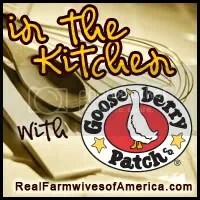 That’s right, thanks to the wonderful gals over at The Real Farmwives of America one lucky reader (or three!) will win their very own pair of workboots compliments of Tony Lama/Justin. Just head on over and enter now! Although Boss Man was given a pair of boots, thanks to these great companies, the thoughts and opinions are my own. I have been anxious to share this post with you for quite a few weeks now. And the funny thing is, I can’t wait to show off more once winter is actually here! 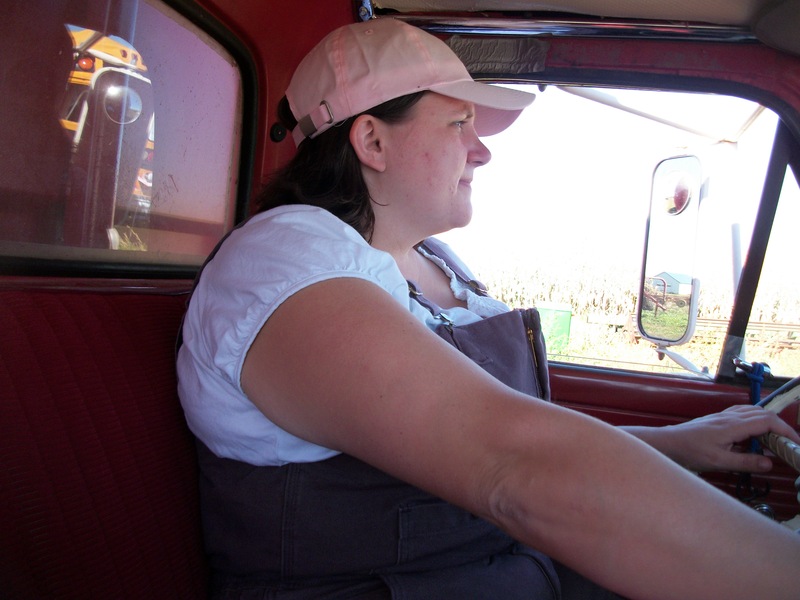 Well, thanks to my friends at The Real Farmwives of America, I was hooked up with some awesome Carhartt bibs. When I picked out my bibs, I felt like the luckiest woman alive. I’d been contemplating ordering a pair, because last winter I used a pair of my husband’s…and let me tell you what, they are NOT made the same! 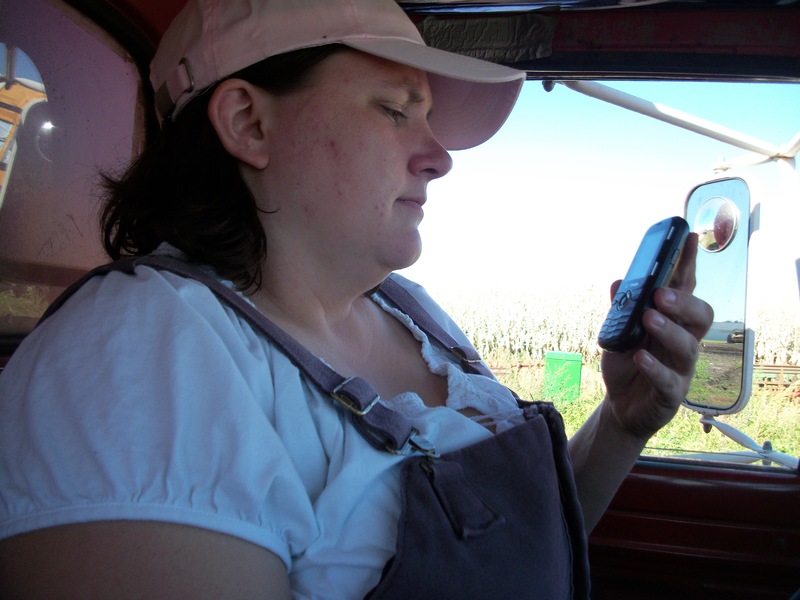 My hubby’s coveralls were baggy on the bottom, tight across the top and difficult for me to move in. My new ones fit me like a glove, and the best part yet? They’re PURPLE! No more worrying about grabbing the wrong pair, one of the boys taking off with them, or Boss Man slipping them on because they’re handy! 🙂 Yay! 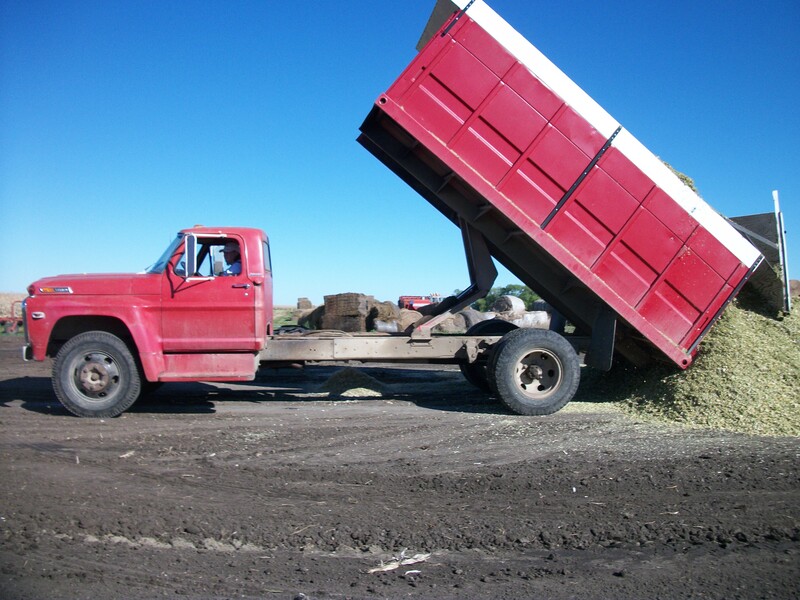 1) Driving truck during silage cutting. 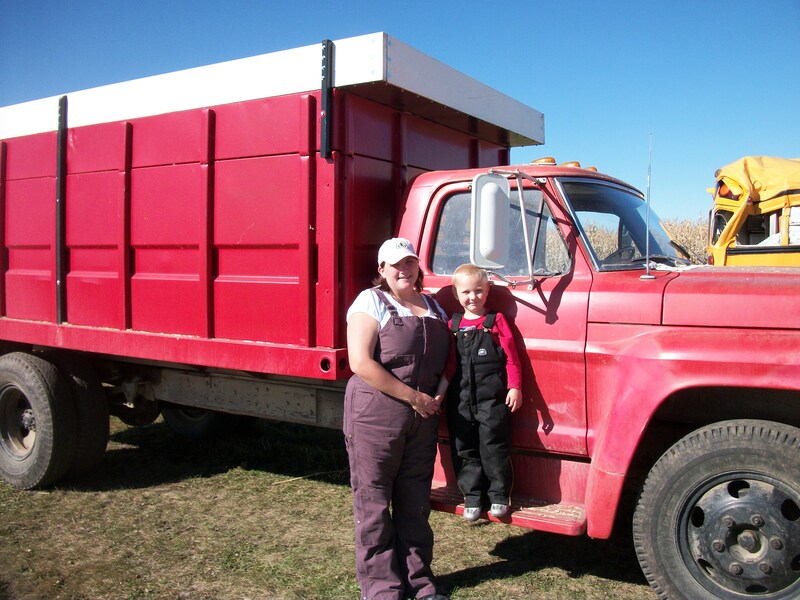 EJ was my silage truck partner. He had to wear his bibs too! My 4-year-old photographer...didn't do too bad! 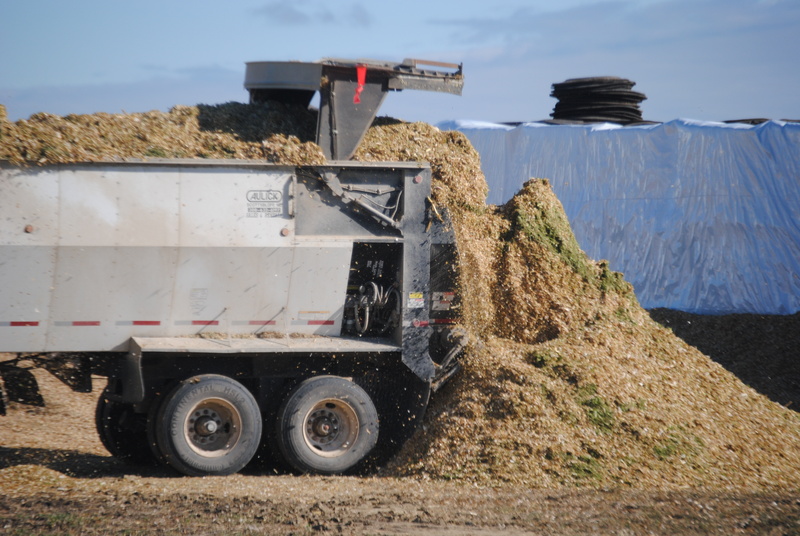 Dumping the chopped up corn (silage). It'll be packed down in a pile, covered, and used later this winter for feed for our cattle. 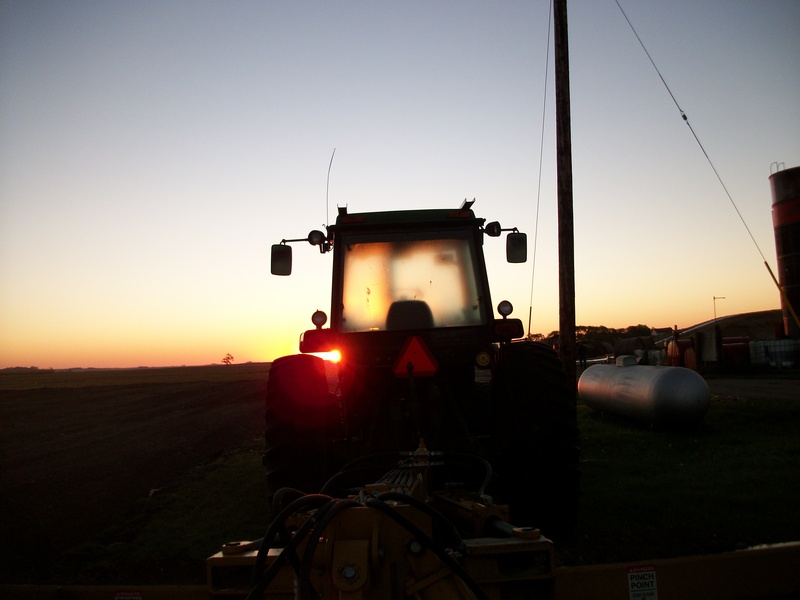 Sometimes the waiting during silage season can be a bit boring. Thankfully my phone kept me up-to-date on the progress being made and where I was needed. 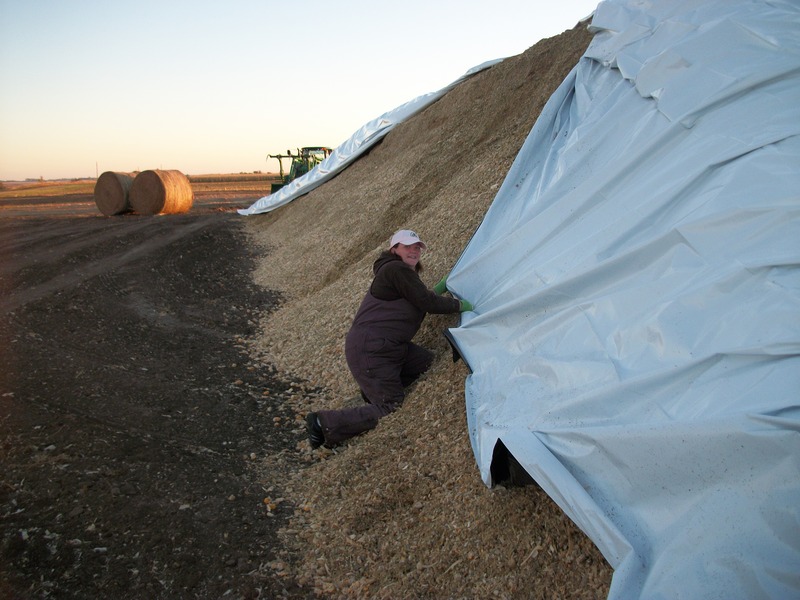 2) My hubby’s idea of an early-morning, marital-relationship-building-exercise…AKA covering the silage pile. My husband's comment when I asked him to take a picture of us working? "If I take the picture of you, won't they wonder why I'm not working too?" 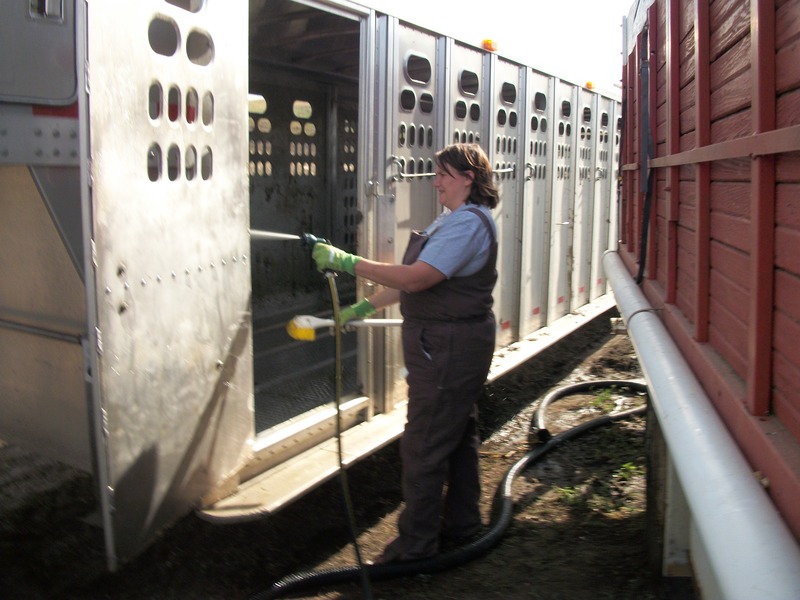 3) And don’t forget, the ever-wonderful job of spraying out the horsetrailer after hauling the cows and calves home from weaning! 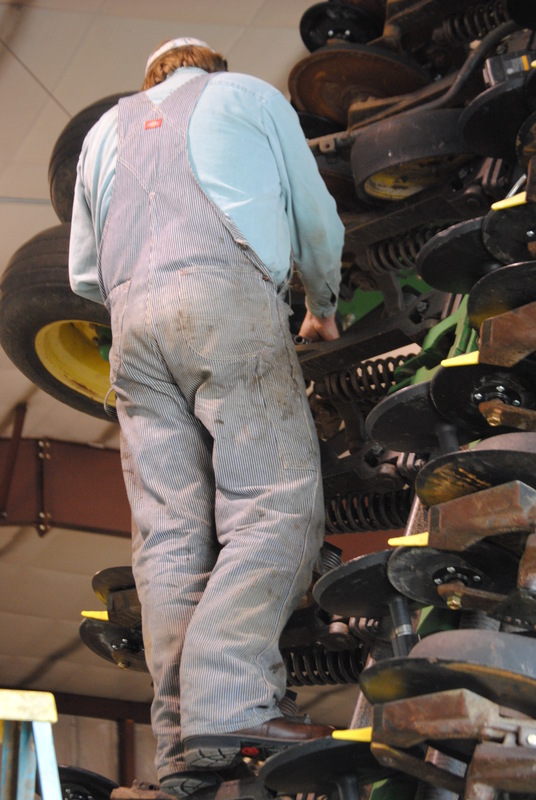 It's a dirty job, but someone's gotta do it! These coveralls, bibs, whatever you want to call them, they will quickly become a staple in my wardrobe. They are warm, comfortable and easy to care for…all things that are a MUST in my house!